This gorgeous Banyan tree in the quiet by lanes of Juhu made for such a majestic pose, I just had to capture it. God alone knows the stories it has witnessed and the tales it can tell. If trees could truly speak, the rustling of the leaves would not be a murmur…. Don’t you think that, contrary to popular belief, old souls like this one not only survive but thrive in a megapolis like Mumbai? I bet you, they wouldn’t even want to be anyplace else! 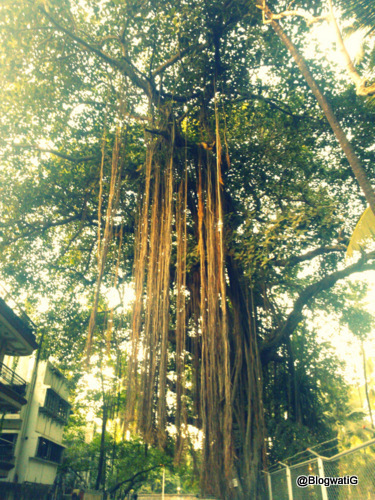 Looking at the size of this banyan tree, it sure has seen many generations of Mumbai! Wish too.. that the trees could speak.. Loved the shot, so ethereal in look. Seems to answer why these trees are worshipped.